I think we all know the healing benefits of Tea Tree Oil and its amazing antiseptic and antibacterial properties. But did you know that you can literally wash and treat your skin with it from head to toe? 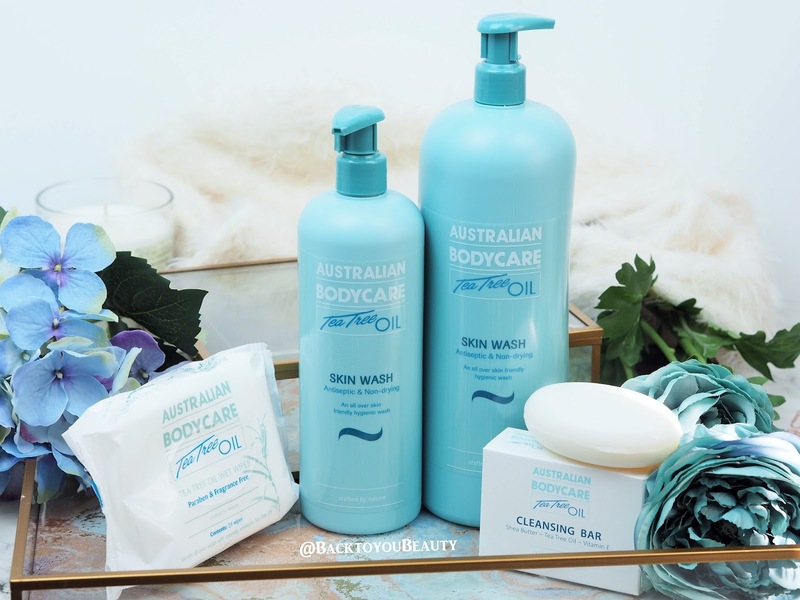 Australian Bodycare uses only the highest grade and quality Tea Tree Oil Melaleuca alternifolia to deliver those antiseptic and anti fungal properties throughout their range. Below is my review of an incredible four piece collection being released on the 23rd August, that i think would happily find a place in any household. This wash has been a staple in my household for at least the past six years, It was the onset of an acne prone teenager that lead me to purchase this product and since then we have never looked back. Containing 2% Tea Tree Oil – the Melaleuca alternifolia variety of Tea Tree Oil, which has the most beneficial natural properties out of all 110 varieties, this yields amazing antibacterial and anti-inflammatory benefits. A skin wash that can be used daily in the shower by all members of the family, you will come to love that super clean skin feeling. When my son was suffering acne breakouts on his body, it was this he washed in day in and day out. It does not sting or strip the skin of oils but gently and effectively cleans it of dirt and bacteria that can sometimes linger after washing. Now we are well and truly out of that phase it is still used by all of us for many reasons. I love to shower in it on those hot, sticky sunny days where i just want to feel clean and fresh, my youngest loves it after football and outside games and my husband after a hard days work. 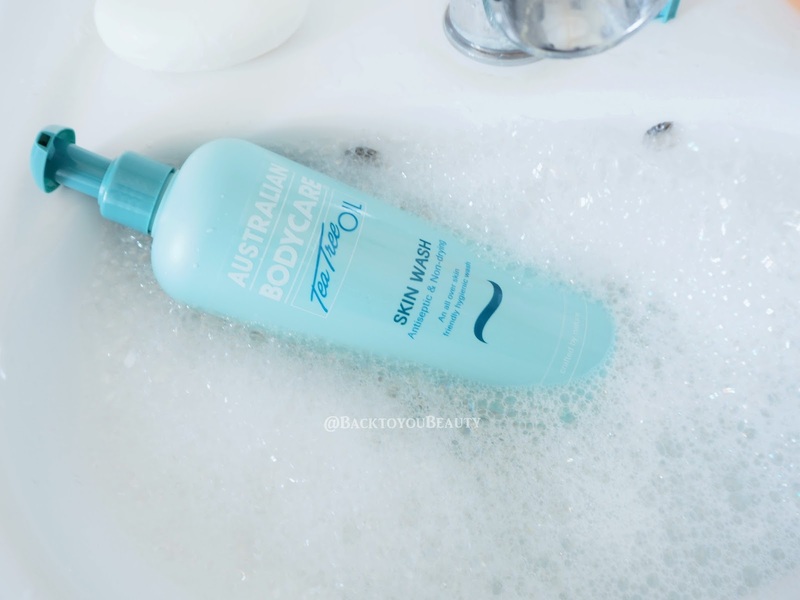 Although this does smell of tea tree as you apply it to the skin, creating beautifully soft and nourishing foam, once rinsed off, the tea tree keeps working but that strong scent disappears. Another place you may have seen this is in a spa or treatment room. I know my local beauty spa uses it to cleanse the body before a treatment and to wash the feet before a pedicure. This is also great if you do suffer from blisters or athletes foot as you can bathe your feet in it to really get them thoroughly clean. Great for cleaning wounds after surgery (on the advice of your surgeon of course) and for bathing in after having a baby. A brilliant, multipurpose skin-wash for the whole family. This is coming to Center Parcs with me! You receive this in the Litre size and the more portable 500ml size. If you read my Top School Holiday Essentials Post HERE you will know how much i adore these wipes.These are absolutely invaluable for many reasons! I actually buy these packs in boxes of ten! There is not a bag, backpack or car dash in our family that does not have a packet of these in. For so many years we have used these on family outings and within our household for everything from wiping tables and chairs in restaurants before sitting down to eat, wiping toilet seats, sinks and shower basins in hotels and caravans on little holidays, to cleaning toys and books. My youngest also suffers from car sickness unfortunately so we have a stash of these in the back of the car to not only clean him up after but also quickly and hygienically wipe down the car seat. Great to use if you need to freshen up on a hot day, if there is no loo roll in a ……heaven forbid….port-a-loo (Gulp), or to use after you have been on the underground. 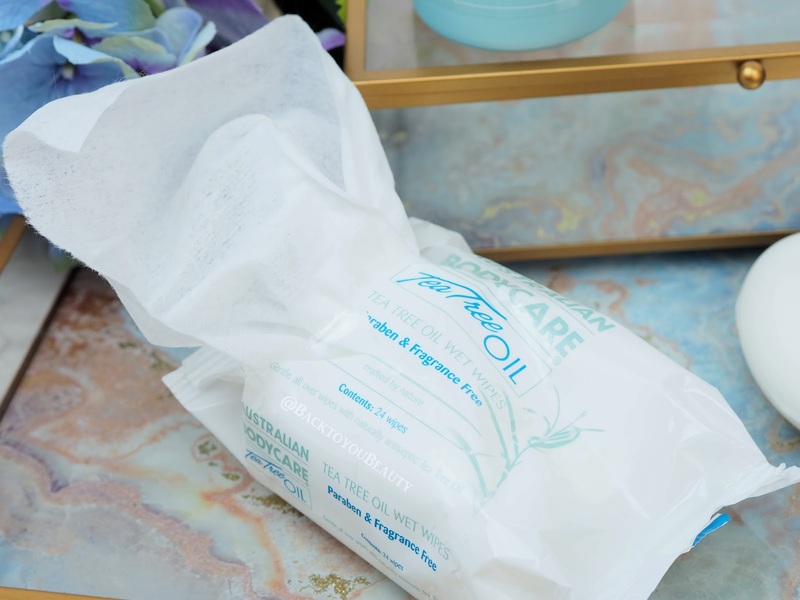 Each handy, portable pack contains 24 soft and gentle wipes infused with naturally antiseptic Tea Tree Oil 1%, they are free from alcohol and suitable for use on the face and body. Great at festivals, at the beach to clean sand out between your toes and anywhere else….to wipe down flip flops, sandals, to clean cuts and scrapes until you can get to water..to remove make up, in actual fact apart from putting these on your eyes, there is not much these can’t do!! Must have. Ok, not going to lie, but this brand new launch had me a little scared at first. I mean, it looks like a bar of soap, obviously, its a cleansing bar….but how would it work on my face and would it feel dry and stripping on my already dehydrated skin? 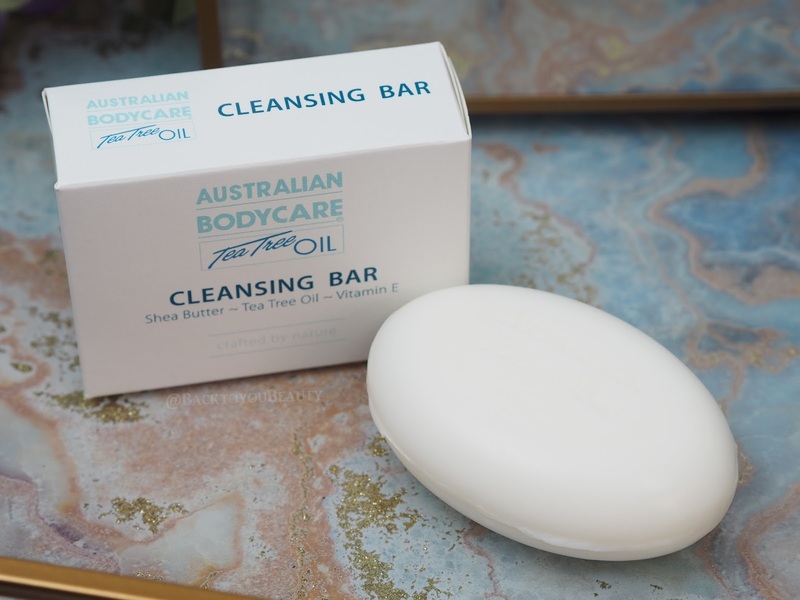 Cleansing bars are suddenly becoming “a thing” and no, i don’t mean a bar of soap but a solid bar full of your favourite oils and products. Me, i think i still prefer a balm or an oil cleanser but for those that love the good ole fashion feel of a bar in your hand, this is for you. Full of Shea butter, Tea Tree Oil and Vitamin E, this lathers up into beautifully creamy bubbles that does not strip the skin what-so-ever and could be used on the face or body just being careful of the eyes. My thoughts on this collection – Of course i love it hahaha, we have used it for years in my family. Would i recommend it? Yes of course! 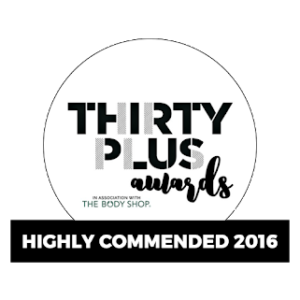 This range is perfect for keeping everyone thoroughly clean, perfect for washing in after festivals, camping holidays, gardening, sunny days, when you have scrapes and scratches, are recuperating from illness, are struggling with acne and some skin conditions, have smelly teenagers, or husbands….or wives, hahaha. For when you just want to feel squeaky clean!! 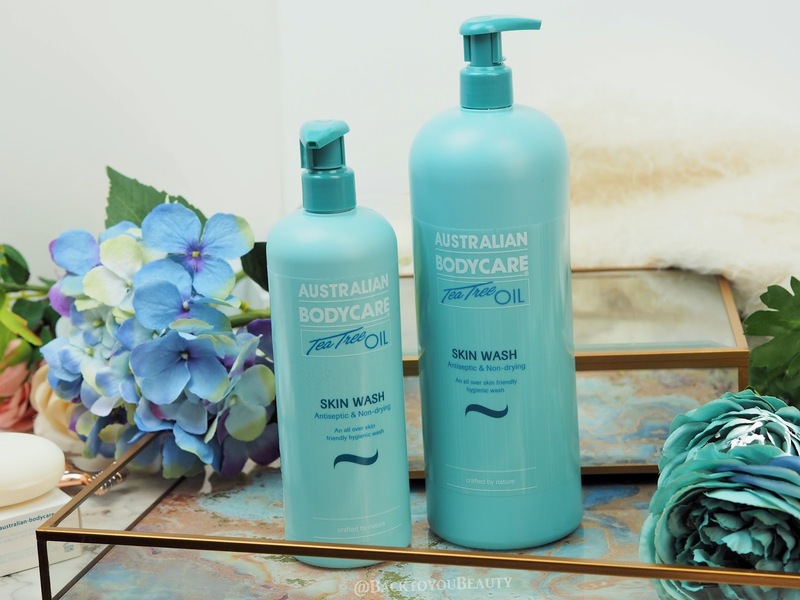 Australian Bodycare do a huge range of tea tree products which you can find out more about HERE. 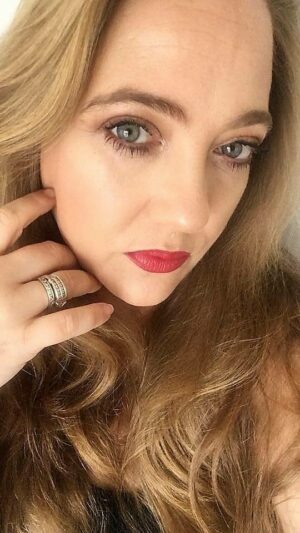 However this collection is only available on QVCUK for one day only on Wednesday 23rd August for 24 hours or whilst stocks last. You can purchase this collection HERE. Have you tried anything from this range before? I would love to hear from you. Please leave me a comment below. Laura Geller 20th Anniversary Collections! 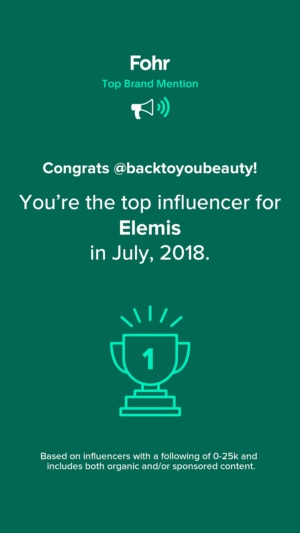 "Get the Becca glow with the 4 Piece Ultimate Glow Complexion Kit"
"Bio-Extracts Advanced Summer Skin Collection – Bespoke, Vegan skincare as Unique as you"
Gosh I haven't used this brand in what seems like forever, good to know that they now do larger bottles too! I went to a spa a few weeks ago and they were using this brand. Everything smelled amazing and my skin was so soft afterwards. I am a big fan of anything that has tea tree in it. 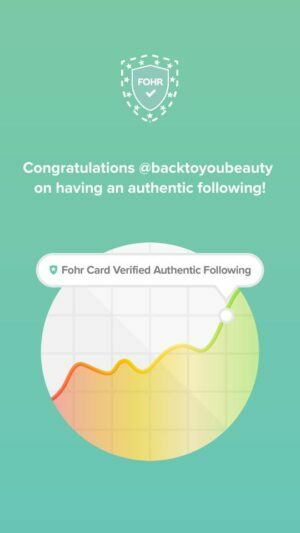 I have only tried a blemish stick from this brand. I love the fresh scent of tea tree – it must be so lush in the shower! I bought the set and do like it BUT the pumps in both the 500ml and the 1000ml bottles just do not work correctly. It comes out in a pin head size amount, an eighth of the size of my little finger nail from the 500ml bottle and slightly more, about half the size of my little finger nail from the 1000ml bottle.I have tried everything to make them work better, wasting product in the process. I realise you do not need very much but trying to use either of these pumps is a nightmare. I could decant into other pumps or bottles but I should not have to do that.A great pity that they cannot supply pumps that work correctly. The wipes are great and as yet I have not tried the cleansing bar.